The Linked Data initiative advocates publishing and sharing structured data following the same principles of the web. In this way, databases are not longer isolated, and data can be linked easily across different datasets. One of the areas where the linked data approach can be very beneficial is the linguistic community. The interoperability of language resources withing this community has been a challenge in recent years. 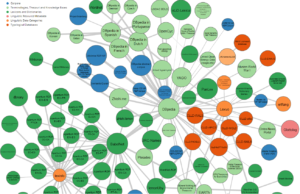 The linguistic Linked Open Data Cloud (LLOD)  is a community effort to build such a linked set of linguistic resources. MixedEmotions contributes to the development of this data cloud in the sentiment and emotion analysis field. The project is extending and adapting vocabularies such as Onyx  and Marl , and releasing a mapping from these vocabularies to EmotionML . The use of such vocabularies in real industrial applications can help to its dissemination and widespread use. It can unify the way researchers and practitioners represent emotions, easing development and increasing the tooling ecosystem. In addition, MixedEmotions is contributing to the development of an open forum in W3C. The community group is called Linked data Models for Emotion and Sentiment Analysis . The group aims to reach consensus among industry and academia in the use of these vocabularies. The goal is to achieve interoperability across sentiment language resources and sentiment services. Fortunately, the efforts within MixedEmotions are standing on previous successful work. For instance, the representation models are an extension of previous results from the European R&D project Eurosentiment. In a nutshell, Eurosentiment defined a linked data model for sentiment analysis. The model is based on the use of several technologies, such as NIF (NLP interchange Format) , lemon  and the two vocabularies mentioned previously: Marl and Onyx. Through NIF, it is possible to assign URIs to language resources, so that they can be annotated following linked data principles. On the other hand, lemon provides a way to represent lexicons based on linked data principles, and linking lexical and semantic entities to lexical forms. Marl and Onyx are used for annotating sentiments and emotions respectively, both in lexical entries as well as sentiment services. MixedEmotions is contributing to the extension of these models to cope with multimodal characteristics . The project will publish a dataset of annotated social media, so that other researchers and companies can take advantage of this approach. UPM (Universidad Politécnica de Madrid) participates in Mixed Emotions through research group GSI (Intelligent Systems Group, http://www.gsi.dit.upm.es) . GSI is focused on the application of intelligent techniques in social computing. Their skills and know-how are diverse and range from social media mining and analysis, sentiment and emotion analysis, ambient intelligence to social simulation. Chiarcos, C., Nordhoff, S., & Hellmann, S. (2012). Linked Data in Linguistics (pp. 161-179). Heidelberg: Springer. Sánchez-Rada, J. F., & Iglesias, C. A. (2016). Onyx: A Linked Data approach to emotion representation. Information Processing & Management, 52(1), 99-114. Westerski, A., Iglesias, C. A., & Tapia Rico, F. (2011). 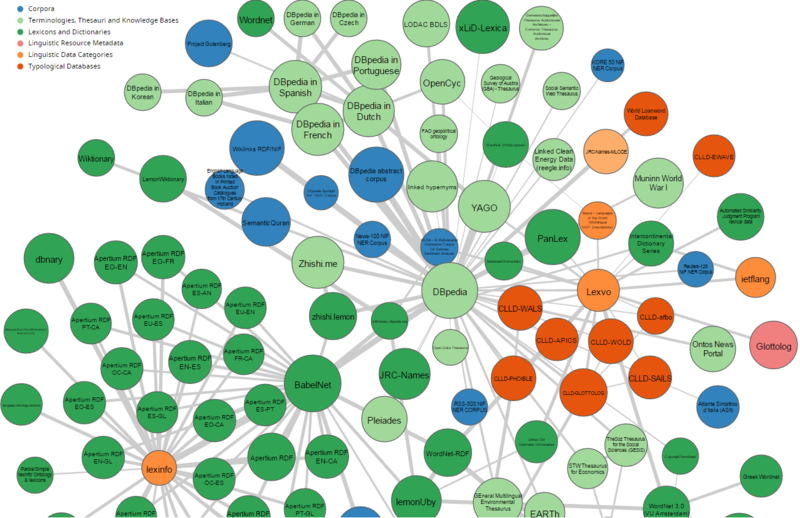 Linked opinions: Describing sentiments on the structured web of data. Schröder, M., Baggia, P., Burkhardt, F., Pelachaud, C., Peter, C., & Zovato, E. (2011, October). EmotionML–an upcoming standard for representing emotions and related states. In International Conference on Affective Computing and Intelligent Interaction (pp. 316-325). Springer Berlin Heidelberg. Hellmann, S., Lehmann, J., Auer, S., & Brümmer, M. (2013, October). Integrating NLP using linked data. In International Semantic Web Conference (pp. 98-113). Springer Berlin Heidelberg. Declerck, T., Buitelaar, P., Wunner, T., McCrae, J., Montiel-Ponsoda, E., & Aguado de Cea, G. (2010). Lemon: An Ontology-Lexicon model for the Multilingual Semantic Web. Sánchez-Rada, J. F., Iglesias, C. A., & Gil, R. (2015). A Linked Data Model for Multimodal Sentiment and Emotion Analysis. ACL-IJCNLP 2015, 11. ← Humans or machines – Who is better in reading faces?